The Office of Paid Family Leave will share information about community events and other outreach & engagements efforts here. 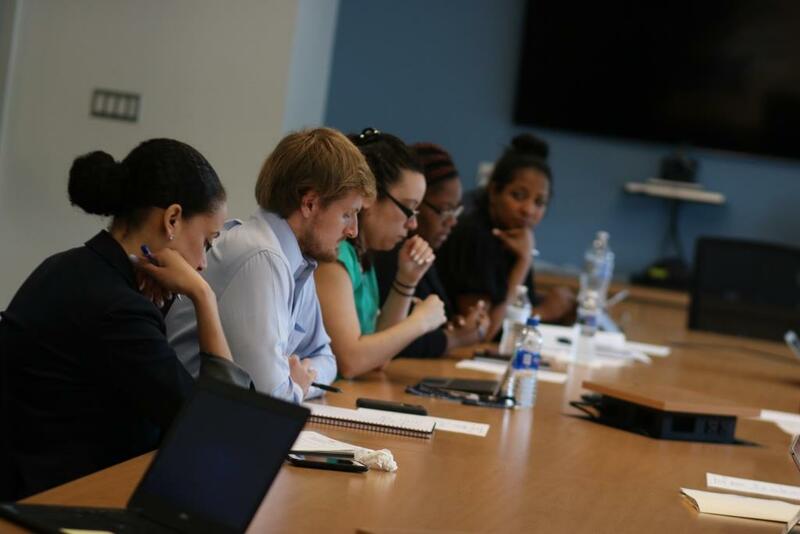 The Office of Paid Family Leave (OPFL) meets weekly to ensure that the District's Paid Leave Act is implemented on time. Since the public comment period for the proposed regulations closed on May 7, OPFL is working diligently to review and provide responses to all submissions. Please continue to visit the OPFL webpage for next steps and additional updates. On Wednesday, February 20, 2019 at 1:30 pm, the Office of Paid Family Leave (OPFL) will hold a webinar on tax regulations, employer requirements, and the upcoming PFL tax. OPFL will share updates on program implementation and discuss steps that employers will need to take to perpare for the upcoming PFL tax. Registration is now open! 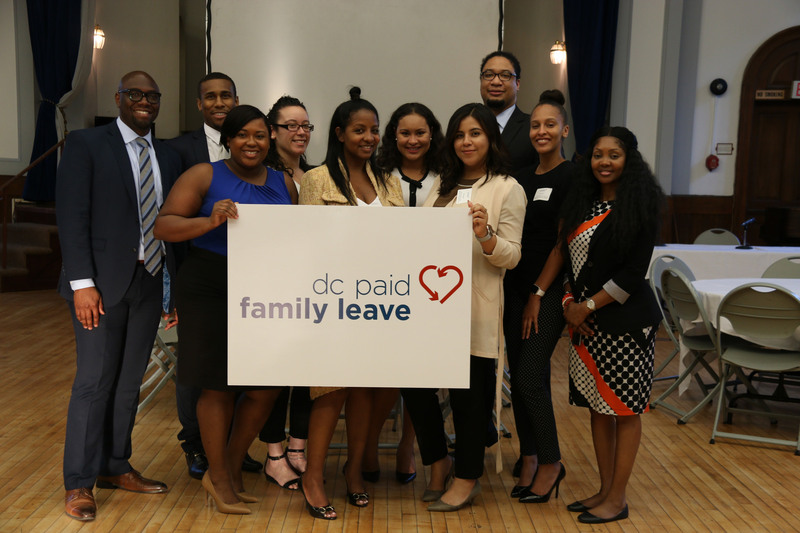 On Tuesday, March 12, 2019, the Office of Paid Family Leave (OPFL) will hold a PFL Town Hall forum to share updates on PFL implementation and receive feedback on proposed regulations and how OPFL can best support DC employers and workers. Location and registration information will be available soon. On Wednesday, March 20, 2019, the Office of Paid Family Leave (OPFL) will hold a second webinar on tax regulations, employer requirements, and the upcoming PFL tax. OPFL will share updates on program implementation and discuss steps that employers will need to take to perpare for the upcoming PFL tax. Registration information will be available soon. 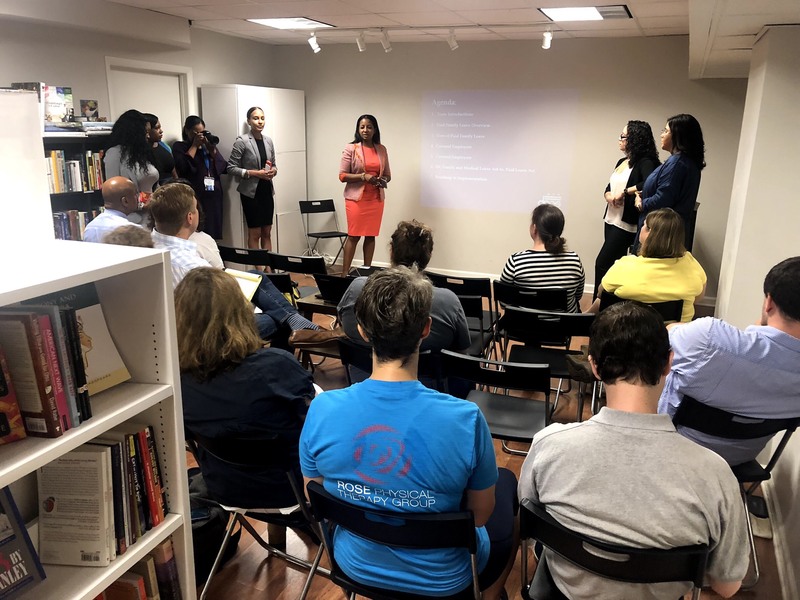 On Thursday, October 4, 2018, the Office of Paid Family Leave (OPFL) held a town hall forum on proposed tax regulations at the National Union Building (918 F St NW, Washington, DC 20004). OPFL shared updates on PFL implementation and received feedback on proposed tax regulations from more than 100 attendees. 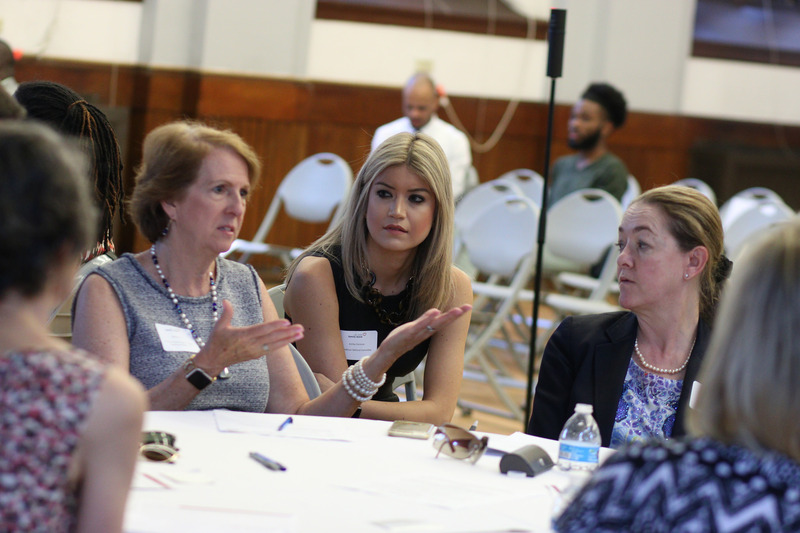 Thank you to the many DC employers, workers, advocates, and stakeholders that joined us for our second town hall forum. Your feedback is an important part of our implementation of this new program. 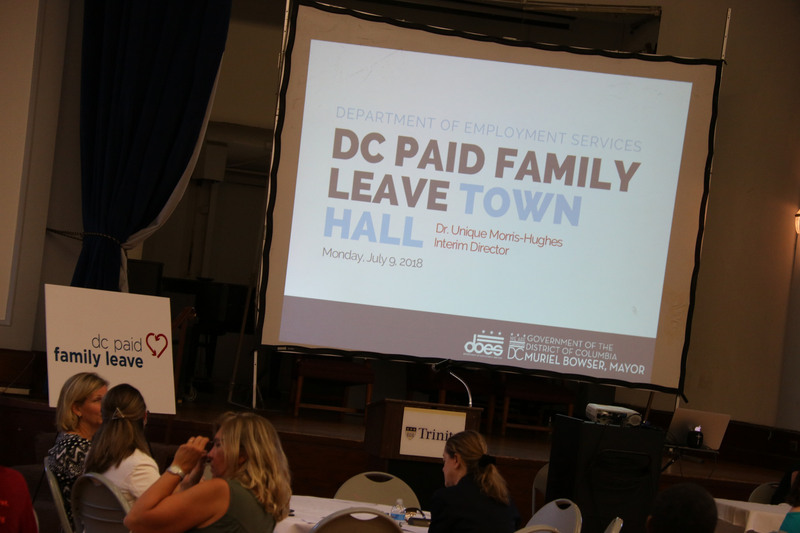 The Office of Paid Family Leave (OPFL) held a town hall forum on Monday, July 9, 2018 at 6pm at Trinity University's O'Connor Auditorium to share updates on PFL implementation and receive feedback on proposed tax regulations and how OPFL can best support DC employers and workers. View event photos here. OPFL hosted a presentation for members of the Capitol Hill Association of Merchants and Professionals (CHAMPS). 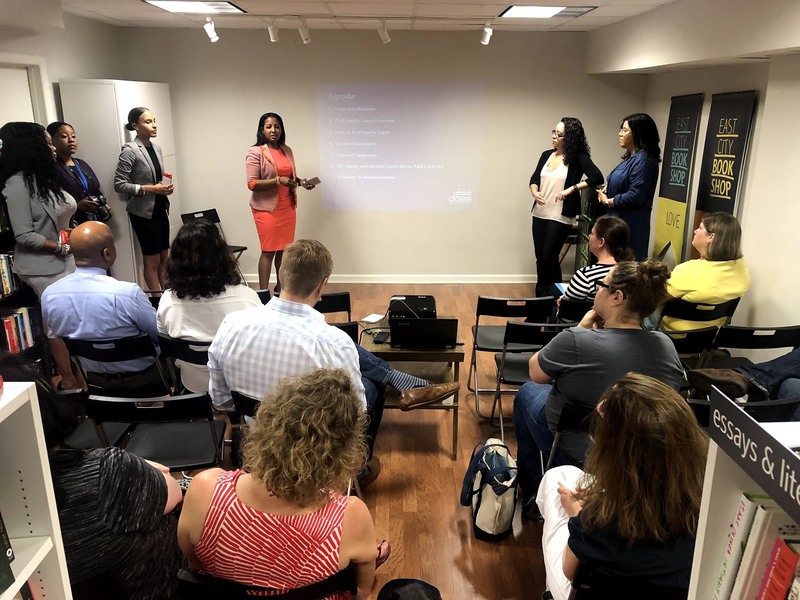 The presentation provided an overview of the PFL program, what will be expected of businesses, and what type of information small businesses can expect to receive from DC as implementation moves forward. 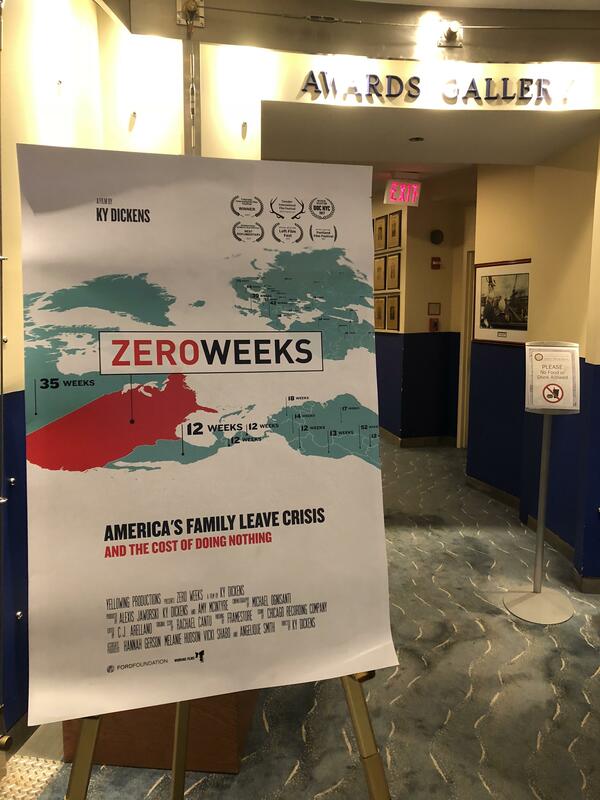 On April 17, the Office of Paid Family Leave attended the Washington, DC, premiere of ZERO WEEKS. A documentary about America's paid family leave crisis, the cost of doing nothing and the movement to change that. 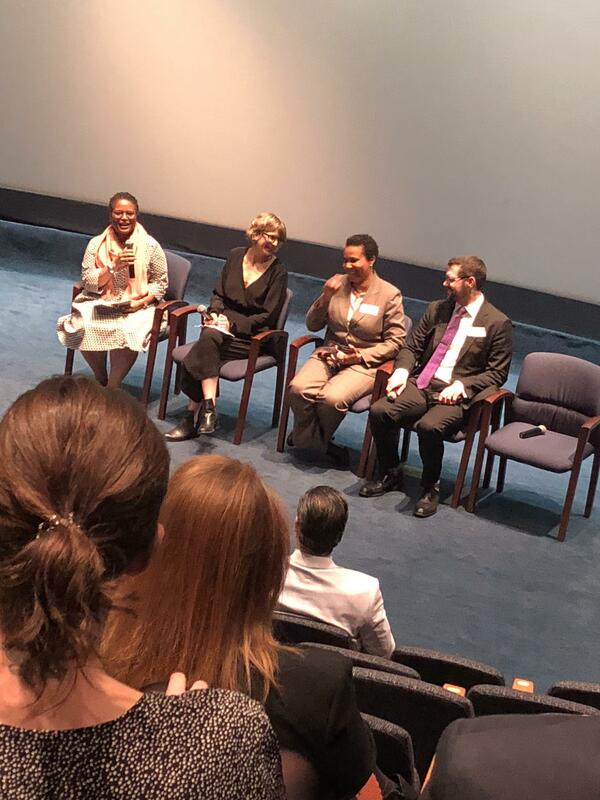 Following the screening, there was a panel discussion, featuring Washington State Senator Joe Fain, filmmaker Ky Dickens, and a special message from U.S. Senator Tammy Duckworth, the Senate’s first expectant mother. View photos from the film screening. On March 27 and 28, the Office of Paid Family Leave visited Washington State’s Office of Paid Family and Medical Leave. The site visit included presentations on procurement, staffing, marketing, and community outreach. This visit established a great partnership and significantly contributed to our research of ensuring the PFL program is equipped with the appropriate funding and staff resources at the onset of program development, which supports the successful implementation of a world-class PFL program.